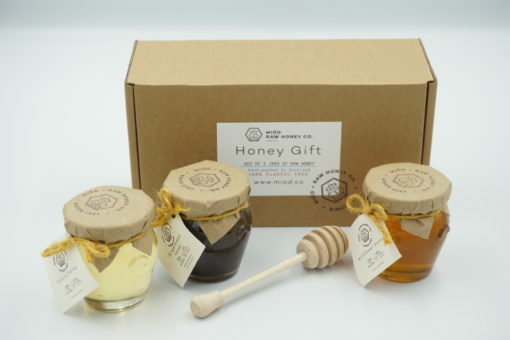 This beautiful hand-packed Raw Honey Gift Set will make any person smiling. It contains 3, 120 g jars of most delicious raw honey of your choosing. 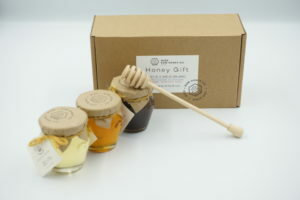 Comes with a wooden honey dipper and a recipe card for something tasty to make with our raw honey. 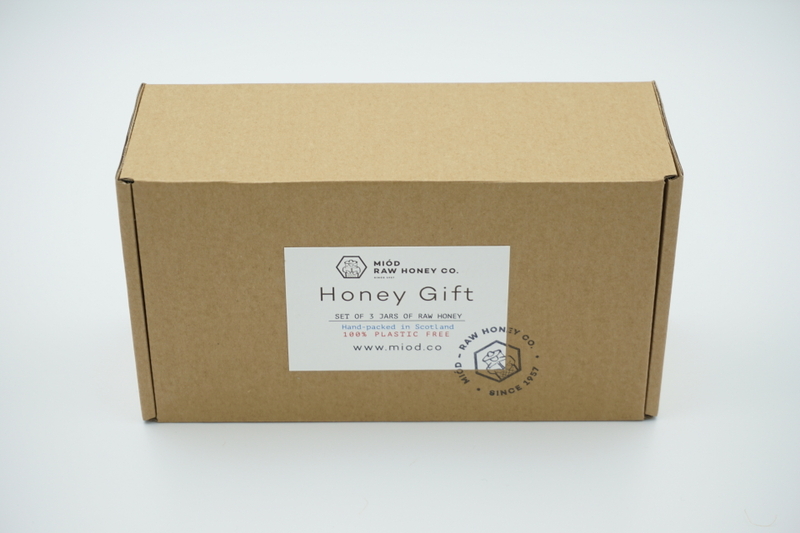 Wildflower – classical everyday honey made with a variety of pollen from wild meadow flowers. 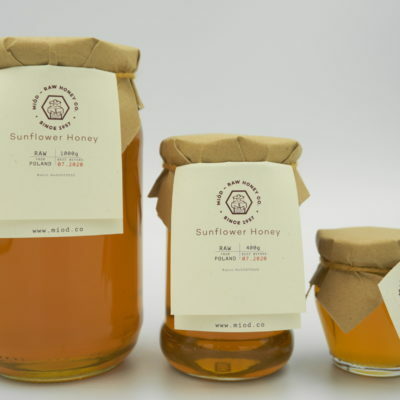 Sunflower – one of the sweetest kinds of honey out there, a perfect reward for getting out of bed on a gloomy morning. Forest – a polyfloral type of honey, rich in raspberry and blueberry pollen with a fruity flavor note. Kids favorite! Acacia – light, floral and very sweet. Great for coffee, tea or homemade lemonade. Linden – zesty, fresh and light. Great for Hot Toddy and to fight off winter colds. 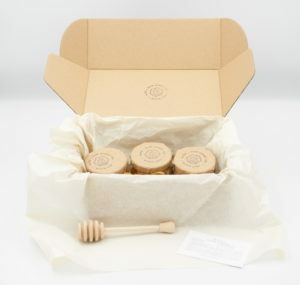 Coriander – herbal honey with a unique flavor. Fresh, light with a hint of spice at the end. No, it is not infused. Honeydew – also know as Pine Tree honey. Has a very strong and distinctive flavor, almost sour. Considered better than Manuka. Clover – our first Scottish harvest. Very light and sweet, fresh and gentle in flavor. Great for that afternoon tea. Honeycomb Clover – this is one of the most interesting honey experiences you can get. The wax is so gentle and smooth. It is hard to describe how unique this is. Gingerbread infusion – we do not feed Gingerbread cookies to the bees. We have created this unique Christmas treat in collaboration with Spice Kitchen and it is mind-blowingly good. Christmas on a spoon.